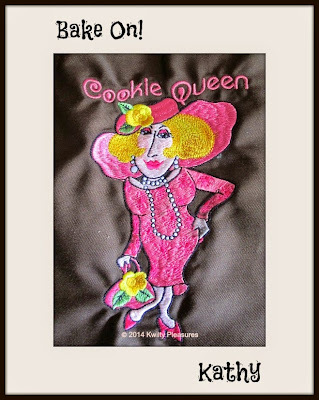 Kwilty Pleasures: VIRTUAL COOKIE DIVA! Yum! Those cookies look delicious! You and your quilty friends look like you really enjoy being together. What fun! Those look delicious! If I try all the cookies I like, I'll be on a diet all of next year, plus walking 5 miles a day! How fun that you had so many friends exchanging cookies for so long. What fun!!! What a fun post, love cookie exchanges and this virtual one is just the best. What a fun group of cookie ladies! I would totally call you the cookie Queen!!! THat sounds like so much fun!!!! Your party sounds so fun, the cookies look delicious and the quilt what a great idea! Wow, your cookie parties were awesome!!!! and the frostbite cookies look delicious! My favorite cookie is probably oatmeal chocolate chip (with the coconut and pecans that I also add). Thanks for sharing and enjoy Biltmore! 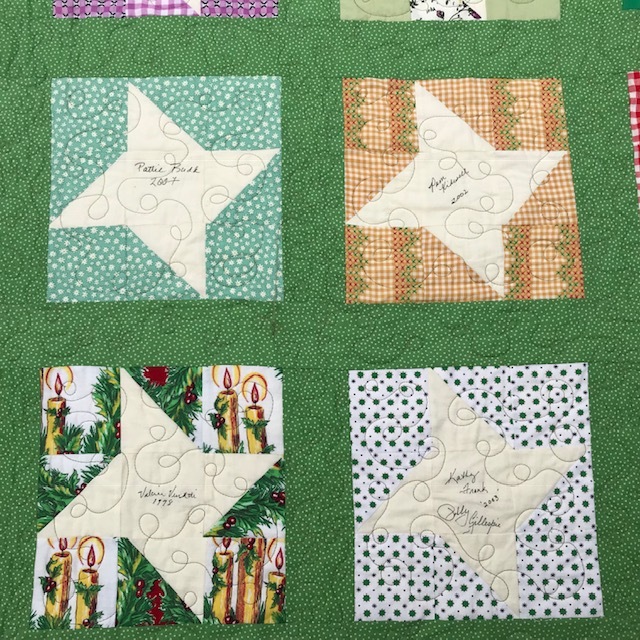 What a fun event and I love, love, love the quilt made from aprons-- brilliant! Your cookie exchange parties sound awesome!! Thanks for sharing your fun! 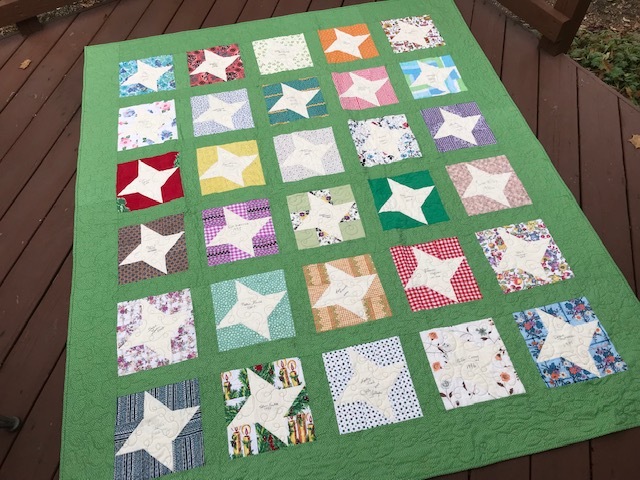 I love the idea of the quilt made from aprons! I love it when I read a post that just makes me smile! And I love how you make your cookie exchanges such fun - and you put so much thought into it! Thanks so much for sharing this, it just made my day! I can see why they call you the queen. It looks like a fun tradition for all. Thanks for the recipe. Oh my gosh...you girls do know how to have fun. I want to be a Diva too! LOL!! Cookies sound delicious. They are on my list of to-do's. Your parties look like such fun. Thanks for sharing! Wow! That looks like quite the intense cookie party - and it would be SO MUCH FUN! Someday I will have the room to host something amazing like that. My list of favorite Christmas cookies includes sugar cookies, pumpkin molasses cookies and peppermint snowballs. Looking forward to start baking all of them soon! My favorite cookie is Russian tea cakes made with pecans or walnuts and rolled in confectioner's sugar. I'd love to go to the Biltmore to see the Christmas decor. Wow, those parties must have been something! 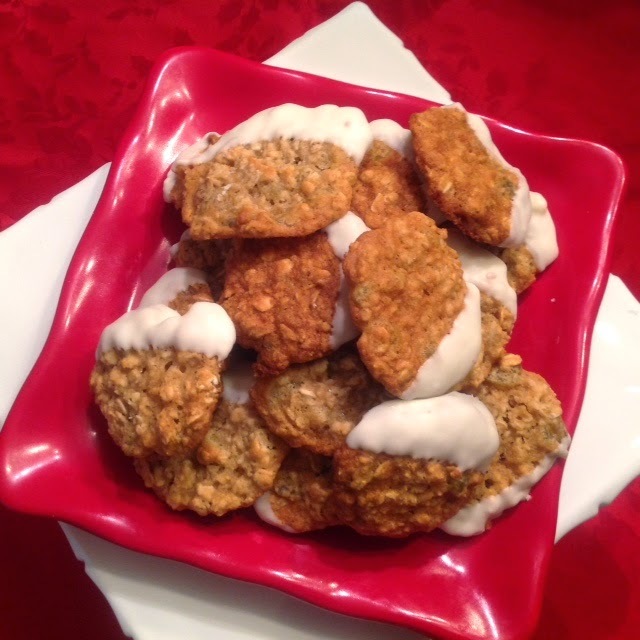 My favorite Christmas cookie is Cappuccino Flats from a BHG cookbook called "Cookies for Christmas". I've had this book since the early 80's and it is a good one! You can often find a used copy under $10 online. And thanks for sharing your recipe Kathy. I got it from you a few years back and have been making it ever since. All my extended family loves them. What a great way to start the Virtual Cookie Exchange. Love your party ideas and I am convinced you ARE the cookie queen. Very fun post, thank you for the ideas and the recipe too. You are the 'Queen'! What a wonderful story and seeing all the wonderful things you do to keep this festival afloat. Sounds like a delicious cookie recipe. I love cookies and it's a toss up between Aunt Minnie's Ginger Cremes and Parisian Wafers. My favorite is a molasses cookie, crisp on the outside and soft and chewy on the inside. What a wonderful kick off to this hop. Thanks for sharing your wonderful time. I want to be invited to your cookie swap parties!!! I just love a good rolled sugar cookie all decorated for the holidays. Love your cookie swap pics. It just isn't a holiday without crown jewel cookies. Enjoy your trip. Oh seeing Biltmore is on my bucket list, but during the holiday, would probably even put old Scrooge in the holiday spirit. Looks like you all had a fun time at the party. 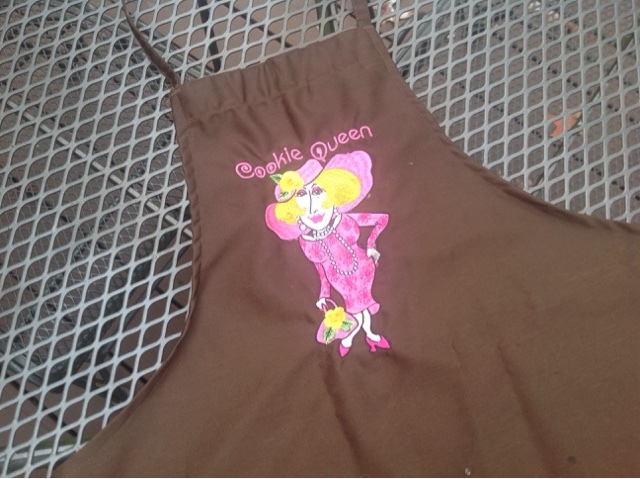 Cookie Queen apron is cute. It sounds like you have so much fun with the cookie exchange! What a wonderful way to share.